I HAD to go to site last year by instruction of the court. 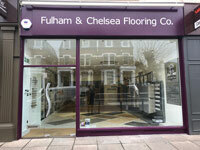 It related to the installation of solid wide oak flooring in a commercial location. The wood flooring had been glued down. It eventually cupped and lifted, leaving the commercial customer unable to carry on their work safely. As a result the flooring had to be taken up and very cheap carpeting put down after both experts had gone to the site, with the magistrate also attending. The reason it went to court follow my report which was not favourable to the main contractor. The expert commissioned by the main contractor said the product was at fault, about which I disagreed, as I will explain later in this article. The date was set and we all arrived on site. The party included the magistrate, the main contractor, the other expert and me. The magistrate was shocked at the condition of the flooring and asked the opposing expert why he thought the problem was a product fault. The expert said it was a product fault because the flooring had expanded considerably and that solid oak will not normally expand as much as it did. The magistrate then asked me why I believed it was an installation error. I pointed out my readings from the report and explained about water and timber and how moisture affects wood flooring. I was a bit apprehensive doing this as I thought the magistrate would tell me to shut up. But, to my surprise, she said she fully understood. The magistrate then asked the opposing expert to explain how wood moves and its effect on oak and the movement of oak flooring. The other expert came out with the most ridiculous explanation you have ever heard, saying that the oak installed was a poor quality which affected the movement. He even stated that the oak had expanded both across the face and length. He then claimed that a good quality oak would not move regardless of moisture. I was itching to shout at the other expert and tell him he had not got a clue, but I held my tongue with the magistrate in attendance. The court was effectively in session, and in court you only speak when asked. The magistrate then turned to me again. I explained and showed more evidence on the movement factor of oak. I then demonstrated the effect of moisture in the subfloor and explained all of this in detail. The magistrate then told us all to go back to court after lunch when a decision would be made. 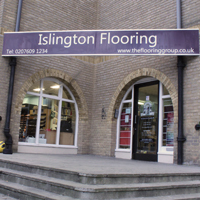 When we got back into court the magistrate announced that the case was awarded to the flooring manufacturer. It had gone against the main contractor, which was the right decision for sure. But that was not the end of the magistrate’s comments. She told the opposing expert that he should be very careful when working for the court. She said his report should be written in a way the court could consider and not just in the interests of the person he was working for. I believe the magistrate saw right through the other expert and realised that he didn’t have much of a clue about wood. Let me just say this to set minds at rest in the flooring industry: The expert in this case was not one of the recognised experts in the flooring industry and is not associated with any flooring association. 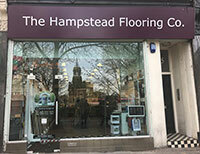 In fact, he was a friend of the main contractor, and not even in the flooring industry! I was a bit upset that the court had even considered his report, but I suppose you have to remember that most magistrates know little about flooring and that some experts with limited knowledge about the subject produce reports that are made to sound almost plausible. It was only because the magistrate in this case saw some questions on the report by the ‘expert’ on the other side, that she decided to attend site which is unusual. But eventually it became obvious to the magistrate that the so called expert did not his oak from his oatcakes. Just to give you a background into the installation so you understand why I questioned the court’s acceptance of other report: 100mm concrete subfloor poured at the end of February; 200mm wide oak flooring installed mid-April of the same year. The total length of installation was 37m by 25m wide. The width of the plank was installed across the length of the installation. The adhesive used was solvent-based, one which the manufacturer does not recommend for this type of installation. The adhesive had been applied using a notch trowel 3mm x 5mm onto the backs of the planks. Many of the planks had less than 30% coverage. The provision left for expansion was, as stated by the contractor, 12mm. The oak floor badly cupped and completely lifted from the subfloor. The floor lifted after less than a week of being laid. I installed relative humidity hoods, revealing 86% RH. This was done three weeks after floor came up so. So how much do you think the RH was when the oak planks were first installed? Answers on postcards! The person with correct answer will get my congratulations! 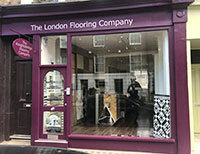 This article has been reproduced from the Contraxt Flooring Journal website. 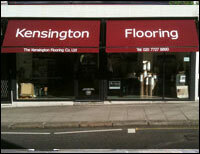 You can find them at www.contractflooringjournal.co.uk.